Aha! The madness begins yet again. 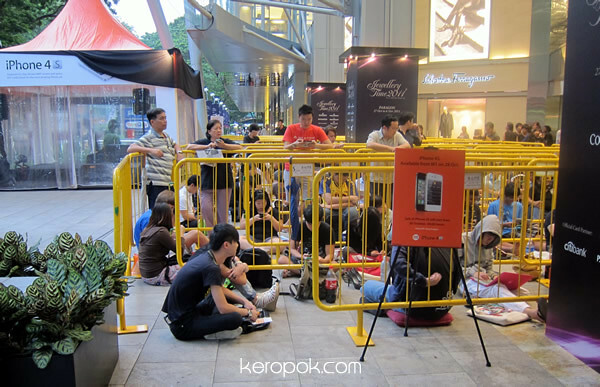 Fans of the iPhone4S have started to queue up, and I wonder what time they have been there! 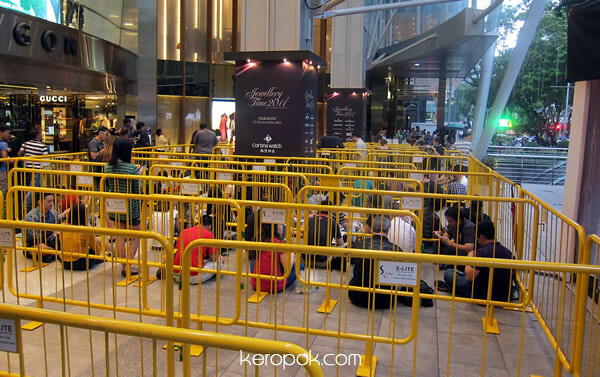 I was passing by Paragon at 5:35 pm earlier today and I saw these people already waiting in queue for the phone. Young and old, they are all in the queue! These two young teenagers are probably the first 2 persons to get the phone from telco M1. 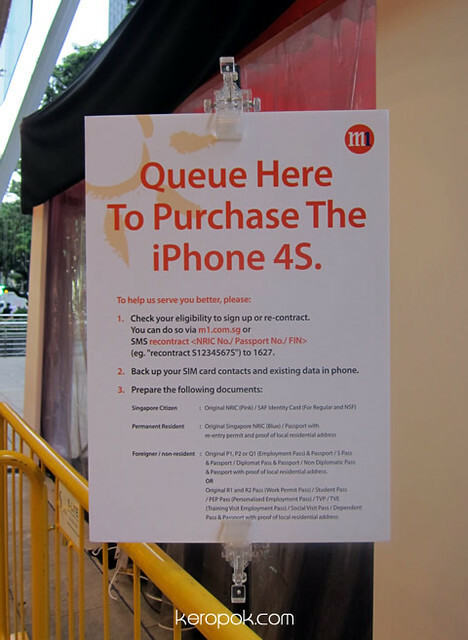 Some folks in Singapore would have already bought it from the 'grey market'. The queue is not as bad as I thought. It's shorter than the recent H&M queue! Hmm. This is not my current telco for my phone, but it's the telco for my fibre line. I wonder if I should jump telco! My 'green' telco has not been particularly nice recently. I have a feeling that all the telcos have been given limited sets, probably too few thats why M1 and Starhub are not doing pre-registration. Singtel's preregistration ended a short while after it started stating it's sold out. I am still thinking if I should get the new iPhone. Maybe when I have decided, it's sold out! The wife's gonna get hers!